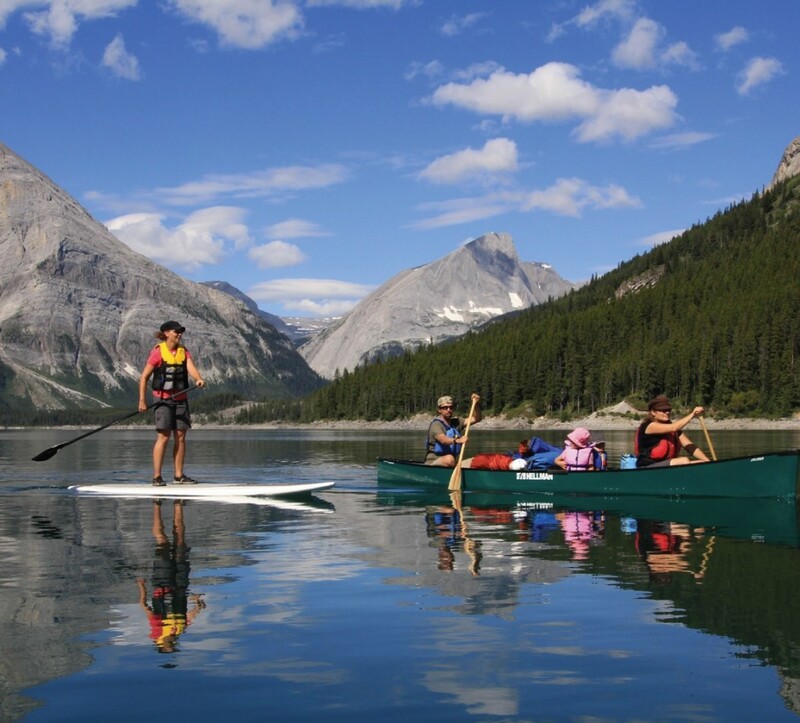 Stand up Paddleboarding (SUP) is one of the most popular water sports across the world today, and what better place to try it for the first time than on one of Alberta’s beautiful mountain lakes? Paddlers can glide across tranquil waters with loons calling in the background at sunrise, or catch some easy waves while riding the Bow River from Banff to Canmore. 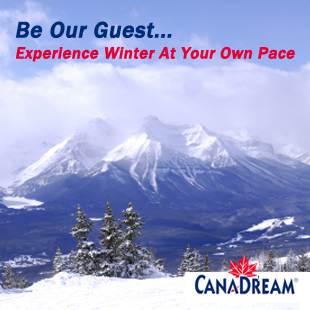 For more of an adventure, try the newest craze to hit the Canadian Rockies. Rent an inflatable board and go SUP Hiking to pristine backcountry lakes. Before you jump on your first lake, you’ll need to equip yourself with a board, paddle, and personal floatation device (pfd). A rental package will also usually include an ankle leash, and should include other safety gear such as a whistle and a rescue throw bag which are both required by all paddlers in Canada. There aren’t many lakeside rental companies operating in the Rockies so you may want to rent a board in Calgary, Canmore, or Banff and transport it to your destination. Inflatable boards are the easiest to transport, and the Banff Canoe Club rents them out by the day with a pump and all required gear. Kananaskis Outfitters rents boards on weekends at the Barrier Lake Day Use Area in Kananaskis. New on the scene, in Jasper you can now rent stand up paddleboards from Translucid Adventures directly at the beach at Lake Edith near the Jasper Park Lodge. The company also hosts SUP tours on Patricia Lake, Pyramid Lake, Lac Beauvert at the Jasper Park Lodge, Medicine Lake and Talbots Lake. Nervous to try SUP for the first time without a lesson? Bow Valley SUP, operating out of the Banff and Canmore area, can get you set up with a lesson, rental, and guided first trip. They also offer family-friendly trips and a rental service for those wanting to head out alone. 1. Vermillion Lakes, Banff—These three lakes are located right next to the Banff townsite and provide great opportunities for wildlife viewing. Mt. Rundle provides a stunning backdrop and the water is usually calm for novice paddlers. There are docks located along Vermillion Lakes Drive at each lake and parking can be found along the side of the road. The first lake can also be reached from the Banff Canoe Club docks in town by paddling up Echo Creek. This trip offers beginners a chance to try moving water with a small current that can be paddled both up and downstream. 2. Two Jack Lake and Johnson Lake, Banff—These two lakes are located just outside the town of Banff on Lake Minnewanka Loop Road. Lake Minnewanka is a great place to paddle, however wind and big waves make it much more dangerous than the smaller Two Jack and Johnson Lakes. Both lakes have day use parking with beach areas for families. 3. Lake Louise and Moraine Lake, Banff—These iconic Banff lakes should be on every paddler’s bucket list. Views don’t get better than from Lake Louise with Mt. Victoria as your backdrop, or from Moraine Lake circled by the 10 classic peaks that were once featured on the Canadian 20 dollar bill. 4. Bow Lake, Banff—This lake is the crown jewel for paddlers travelling along the famous Icefields Parkway. (see pg 50) It’s also one of the hardest lakes to tackle by SUP because of the strong winds that frequent the area. If you are travelling the Icefields Parkway with a board and it’s a calm day, consider it your lucky day, seize the chance to paddle this magnificent lake! For an added adventure, paddle to the far end of Bow Lake and then proceed on foot to the beautiful Bow Falls. Just remember to bring along a pair of dry shoes. 5. Cameron Lake, Waterton Lakes National Park—While the 3 Waterton Lakes see heavy wind and large waves, Cameron Lake is smaller, calmer, and perfect for novice paddlers. 6. Middle and Upper Waterton Lakes—If you are experienced on a board, you’ll want to take the time to try the paddle from Middle Waterton Lake to Upper Waterton Lake through the Bosporus. If you pay attention to the wind, you can also do the paddle one-way as an incredible down winder that just might be the highlight of your trip to the Rockies. There are many docks and day use areas available for launching, and you can set up a shuttle with the help of a bicycle using the Kootenai Brown Bike Trail. 7. Pyramid and Patricia Lakes, Jasper—If you are visiting Jasper National Park, these are the two lakes you are going to want to SUP for calm water, stunning reflections, and the chance to paddle with loons at sunrise. Both lakes are located on the Pyramid Bench, within close proximity, and the two paddles can be broken up with breakfast or lunch at the Pyramid Lake Resort. 8. Emerald Lake, Yoho National Park—Emerald Lake is named for the color of the water that practically glows beneath you as you stand on a board. If you are fortunate, you can even stay overnight at the Emerald Lake Lodge and get out on the water at sunrise and sunset for a rare chance to be alone on this popular lake. While you can rent canoes onsite, there are no SUP rentals in the area. 9. Barrier Lake, Kananaskis Country—Barrier Lake is a good lake for novice paddlers and is one of the closer mountain lakes to Calgary if you want to take a day trip from the city. Kananaskis Outfitters rents boards lakeside at the Barrier Lake Day Use Area on summer weekends, making this one of the easiest spots to try your first paddle. 10. Lower and Upper Kananaskis Lakes—If you want to go for a paddle in Kananaskis and have some experience under your belt, try either the Lower or Upper Kananaskis Lake in Peter Lougheed Provincial Park. The Upper Lake has several small islands that make the perfect spot for a picnic lunch and the Lower Lake has multiple day use areas if you want to set up a oneway shuttle in advance. For a real adventure, reserve a campsite at the Point Backcountry Campground on Upper Kananaskis Lake and try your first SUP backpacking trip. Recruit some friends in a canoe for the outing and you won’t have to worry about how to transport your gear! 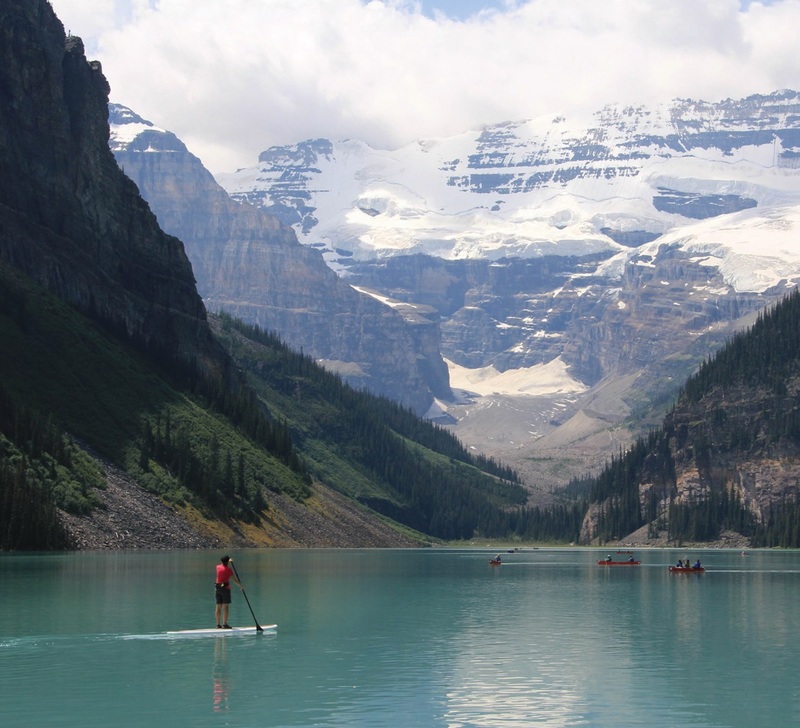 Special Caution when SUP Paddling in the Canadian Rockies Our lakes are glacier fed, and beginners will want to choose a warm day with little to no wind when heading out for a paddle on larger lakes. Falling off your board would not be a pleasant experience, and beginners may even want to consider renting a wetsuit for these paddles. If you are at all nervous about your SUP ability, stay close to shore and test your balance before paddling to the far end of a lake. You may even want to consider paddling next to friends or family members in a canoe or kayak in case you fall in and have problems getting back on your board. Many lakes offer canoe and kayak rentals onsite including Lake Louise, Moraine Lake, Pyramid Lake, and Cameron Lake.